The party also said that Prime Minister Narendra Modi's Gabbar Singh Tax is shrewdly designed to help his wealthy friends but hurts millions of small traders. NEW DELHI: Holding that persistent pressure by it and its Vice President Rahul Gandhi had forced the GST Council and the BJP government to reduce GST rates on several items from 28 per cent, the Congress on Saturday demanded that petroleum products, real estate and electricity be brought under the tax's ambit. The party also said that "Prime Minister Narendra Modi's Gabbar Singh Tax" (as Rahul Gandhi dubbed it) is shrewdly designed" to help his wealthy friends but hurts millions of small traders. Congress spokesperson Randeep Singh Surjewala said in a statement that Finance Minister Arun Jaitley spoke "post-truths" after the GST Council meeting on Friday while the will of the people did partially prevail "over the arrogance of the Modi government." "Persistent pressure built by the Congress Vice President Rahul Gandhi and the Congress party forced the GST Council and the BJP Government to reduce taxes on items of daily usage being taxed under the 28 per cent bracket. The political turmoil and widespread protests have made Modi Government extremely nervous and partially backtrack," he said. "But people of India, particularly shopkeepers, traders, MSMEs, are distressed with the lopsided architecture, design and implementation mechanism of Modi ji's 'Gabbar Singh Tax'," he added. The Congress, which has been demanding to constitutionally cap the Goods and Services Tax (GST) at a maximum of 18 per cent, said the Modi government was resorting to high taxation on petroleum products. "If you keep electricity, petroleum, real estate out of the ambit of GST, 50 per cent of total revenue stays out of GST ambit. This means that the Modi government can continue to fill its coffers with Rs 2,67,000 crore annually by its back-breaking dose of taxation on petrol and diesel," Surjewala said. 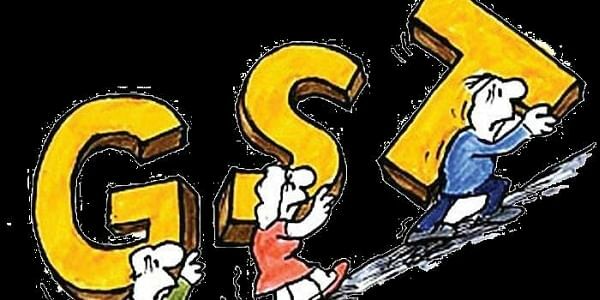 Seeking to reduce GST's "compliance burden", he said that complex process of form filing has brought businesses, trades and MSMEs to a grinding halt, "while GSTN continues to crash repeatedly". Figuring out the challenges being faced by textiles sector and agriculture sector, Surjewala said that "adjournment, deferment, rather than decision, appear to be the 'way forward' for this government" and none of these challenges have been addressed by GST Council. "This is owing to the sheer ineptitude and amateurish handling of the biggest tax reform by BJP government. As Finance Minister Jaitley and the Modi government pay lip service and create havoc, the Congress is determined to fight this battle for turning GST from flawed to flawless," he said.